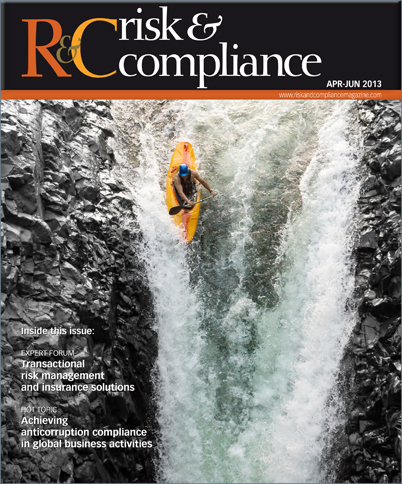 RC: To what extent have countries intensified their anticorruption efforts in recent years, led by the US Foreign Corrupt Practices Act (FCPA) and the UK Bribery Act? Scott-Mackenzie: We have seen a significant increase in scrutiny by authorities regarding corruption in recent years in Australia. The Organisation for Economic Co-operation and Development (OECD) released a disturbing report in October 2012 identifying the enforcement of the OECD Anti-Bribery Convention in Australia as ineffective. Of the 28 cases that had been reported to the Australian Federal Police (AFP), charges were laid in just one and there were concerns that the AFP had closed investigations prematurely. In response, the Australian Federal Police has identified that the enforcement of anti-bribery is now one of their key priorities and, in the last 12 months, there have been a number of matters that have been pursued. Dean: Statistics show that the enforcement of anti-corruption laws continues to increase. US authorities continue their aggressive interpretation and enforcement of the Foreign Corrupt Practices Act and the global reach of the FCPA has meant that many non-US companies whose business activities touch the United States fall within the ambit of the FCPA. Expectations run high that enforcement under the UK Bribery Act will begin in earnest, and the OECD continues to bring pressure on its members to increase enforcement of their anti-corruption laws. Enforcement of anti-corruption laws in places such as China, Russia and Brazil, is increasing, and foreign companies are increasingly the subjects of such enforcement.